Khaiyyaam again. Who, as has been documented before, is not really my cup of tea. 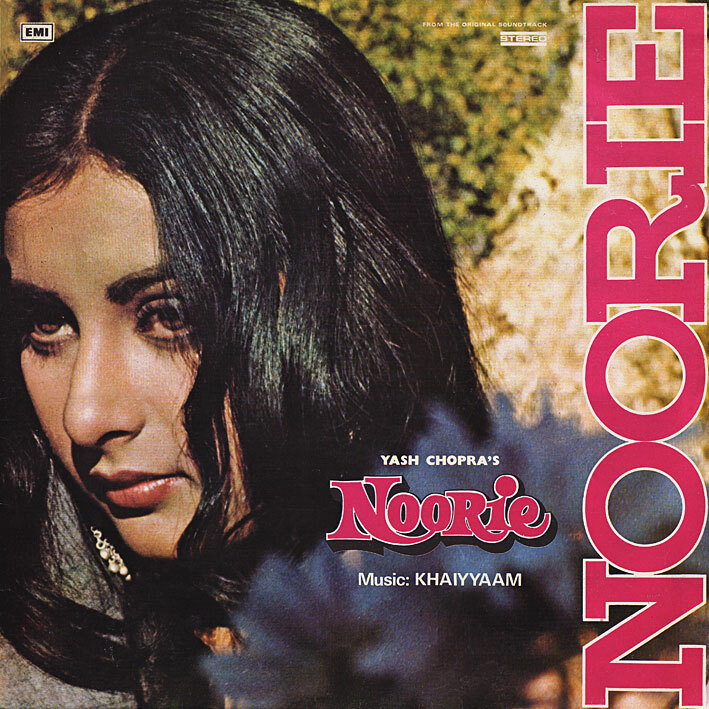 If I had to choose between the three scores of his I own though (this being the last), 'Noorie' might be the one I'd keep. Haven't got all that much to say about it (lots of pretty songs... pretty in the saccharine sense); to be honest I wasn't paying much attention when playing through it again the other day. But here's the main theme. Thanks for sharing your soundtracks with us. Awesome! Thanks for all the great soundtracks and the quality scans of the covers. No bollywood without the great artwork! Thanks for this one, it's good too! I like Phir Subah Hogi (1958), Shagoon (1964) and Barood (1960). movies being written by Sahir and last by Hasrat Jaipuri. I also like in Ghazals by Mohammed Rafi and Mukesh that Khaiyyaam did in the 60s. The very best. re: richard's comment- I like both versions..but the remix by bally sagoo definitely brings out the hidden emotion in this melody- check out his "bollywood flashback" cd if you havent yet! thanks to PC, I plan on playing both versions on my radio show one of these weeks..
thanks so much for all this great music pc!